A.J. 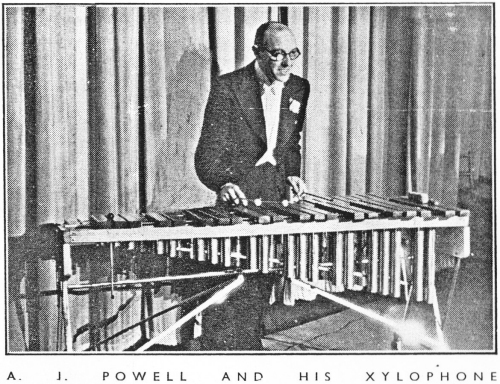 Powell, who formed his Octet at the beginning of 1938, held an amazing number of big appointments in the dance-band and entertainment world. These included that of bandmaster on the Empress of Britain, conductor at the Dreamland Super Cinema, Margate, Manager of the Llandudno Symphony Orchestra, Manager for the late John Birmingham at the Hotel Cecil, and dance-band positions at the Ritz and Savoy Hotels. Powell gave some 300 broadcasts, recorded with all the principal gramophone companies, and took part in a great many films. 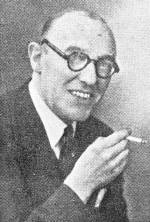 as broadcast on 12th October 1942.